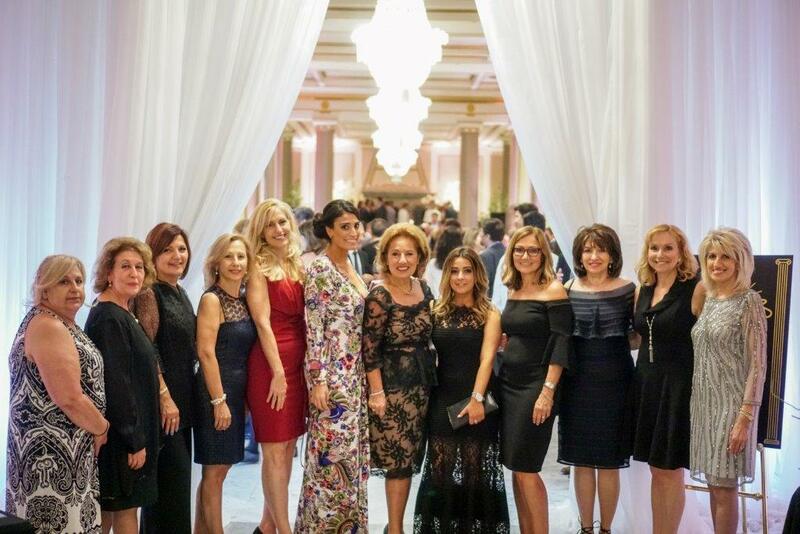 The Hellenic Ladies Benevolent Society’s Spring Event, the Annual Ilios Gala, was held at Le Windsor on Friday, June 1st, 2018. 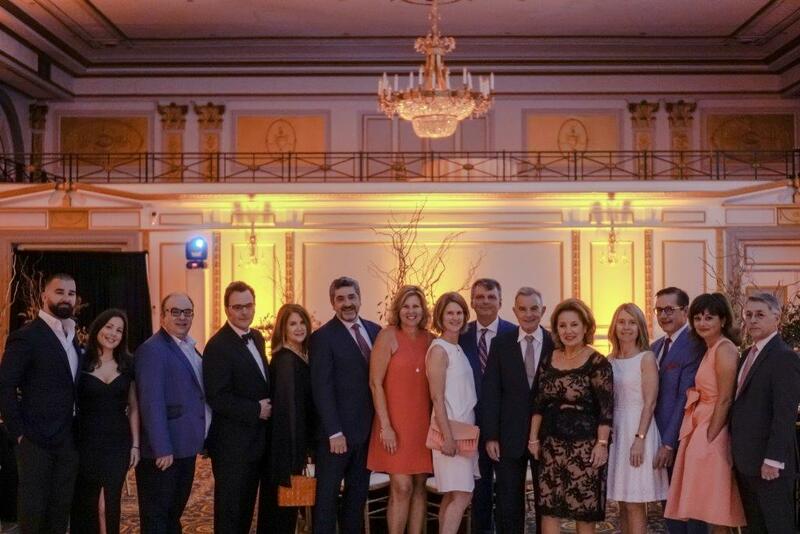 Chris Karambatsos, Jennifer Katsaros, John Georgoudes, Peter Pamel, Vivian Cyriacopoulos- Pamel, George Alexopoulos, Peggy Alexopoulos, Anastasia Nakis- Papadimitriou, James Papadimitriou, Ernie Grivakis, Belle Grivakis, Angie Loffreda, Tony Loffreda, Angela Di Giorgio and Ted Di Giorgio. This event raises the necessary funds to send underprivileged and special needs children to various summer camps for an experience they would not otherwise have and also supports the Educational Assistance Program for children’s scholastic needs throughout the school year. The evening commenced with cocktails at 6:30pm in the elegant setting of the Peacock Alley where multiple activities were taking place, such as a silent auction, open bar, oyster bar and photo booth to capture some memorable moments of the evening. The guests were later ushered into the magnificent Windsor Ballroom for dinner and dancing with musical entertainment by an international performer, Nitza Melas, accompanied by Alexandros and his band. A mystical ambience was created with this year’s theme of an ancient Greece concept which included amazing circus performers and the talented singer Nitza! The evening continued with a surprise guest appearance by Opera Chef, Davide Bazzali who was auctioned off in an animated live auction by Elias Makos of Breakfast Television Montreal who was the auctioneer and Emcee for the evening. The evening closed on a very successful note with great prizes and lots of Greek dancing! Senator Leo Housakos and his lovely wife Demi, Mary Deros, City Councillor, District of Parc-Extension and her husband Peter, and Nicholas Pagonis, President of the Hellenic Community of Greater Montreal. Roula Athanasopoulos, Vicky Nikolakakos, Bernice Tzicas, Sandra Khoury, Dina Kefallinos, Cheria Kyres, Belle Grivakis, Maggie Pagonis, Helen Tyros, Joanne Bisbikos, Effie Dracopoulos and Matina Bisbikos-Priftakis. George Alexopoulos – Belden Canada Inc. The Alvin Segal Family Foundation, Vêtements Peerless Clothing Inc.